Today I attended a Mass of the Holy Spirit for the opening of the new year at St. John's Seminary in Boston. Like most priests, I pretty much think that I know everything, so I definitely have strong opinions about certain things that I think should change at the seminary. But I want to tell you what I saw today as I looked around the seminary's beautiful chapel. I saw seminarians whom I have come to know over the years. Some I know only by sight. Others, I know because they've come to do pastoral work at the BU Catholic Center where I am the chaplain. Some I know through my work as a spiritual director. Some I know because I assisted them as they decided to enter the seminary. I looked around and saw good, strong, holy men. Men who showed up to seminary today in the midst of the worst crisis to ever hit the Catholic Church in the United States. Men who showed up today in the midst of an inquiry into their seminary that many of them consider to be based upon unjust, untrue, unfounded, or exaggerated accusations. Men who showed up despite their families and friends reading all manner of horrible things about the Church. They showed up because they know what their life there is all about. They showed up because they are not cowards. 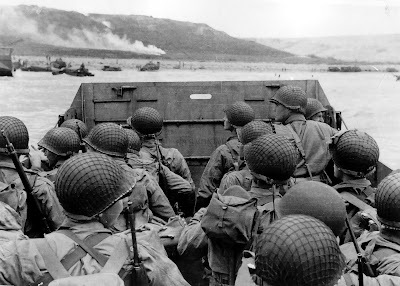 They showed up because they are men who want to lay down their life for Jesus and for the people of the Church. These are men who love the Lord and who love the Church. They are joyful men. They are serious men. They are good men. Can I speak for every seminarian? No, I can't. And, chances are that some of them have a lot of maturing to do. I know when I entered the seminary, I had a lot of maturing to do. When I looked around, I was moved by their goodness, their strength, and their desire to serve. They showed up. I saw priests whom I know and admire who serve on the faculty. Do I know all of the faculty members well? No, but I know some of them well. Are they perfect? No, they are not, (they'd be the first to admit that). But they are good men who are dedicated to the Church. They are humble and charitable men. They are men of solid doctrine who are generous shepherds. I think of one priest there who, in addition to all of his responsibilities at the seminary, always finds time regularly to say Masses at prison, to say early morning Mass each week for the Missionaries of Charity, and who is always generous in helping out parish priests. I saw new members of the faculty who are serious and joyful priests who are going to be great mentors to seminarians. I just want people out there to know that in the midst of so much turmoil, vitriol, and scandal in the Church, scores of young men are still filled with the joy of the Gospel. They see how awful things are and yet, they are stepping into the breach and laying down their lives for Jesus. They are striving for holiness, striving for greatness, striving to be shepherds after the heart of Christ. Not knowing exactly what is ahead of them, they nonetheless are acting in Faith. They are charging into the battle because they are men of love and of character. They are disgusted by what they read, by what others have done etc, but they are not surrendering. They are on fire for Christ. It's true. The battlefield today is gruesome and shocking. It's easy to understand why some would choose to withdraw from the fight, especially when it appears that so many of the officers have failed. All the more impressive then is the willingness of these young men to charge ahead into the fray. They are not seeking prestige or power. They are not seeking accolades or honors. They are men who, like their Lord, are ready to lay down their life for their friends. They are seeking a place near the Lord. I envy these men. At a time when lesser men would flee the field of battle and seek comfort, they march forward under the banner of the Cross. Amid the clouds and chaos of conflict, they cannot see now how it ends, nor may they see it for many years to come. If, however, they remain faithful, how glorious indeed will be their victory. The Devil wakes me up at night. His arrival is not marked by supernatural events or loud noises. If that were his tactic, I might quickly respond and rebuke him. No, his attacks these days come in whispers and in fleeting images. What he whispers are not complete lies. There's always enough truth in what he says for me to entertain these thoughts. What has he been whispering? He's been whispering about failure. "You wasted your time." It's been sixteen years since the scandals first erupted in Boston. Back then, it seemed like everything would completely implode. At night, my mind has been picturing all of the parents who kept bringing their children to Mass during those years. They stuck it out. In my mind's eye, I see them sitting in their pews. Many of their friends and family members had abandoned the Church, but they stuck it out. And, they didn't just show up. They built. They donated. They invited others. They didn't just show up on Sundays. They came to Confession, Forty Hours Devotions, Missions, and Bible Studies. They didn't just weather the storm. They courageously risked everything and sailed into the storm. And now? I wonder if they feel like they wasted their time. I wonder if their kids who are now older think the whole thing is a joke. I wonder if these people are mad that they gave so much only to have everything seemingly turn to dust in front of them. Perhaps they don't think of me as a con artist, but maybe they think I was just a hapless dupe who cluelessly sold magic beans, believing that they were really magic. That's what he whispers, but that's not all he whispers. He whispers to me saying that had I been a priest working in a chancery thirty years ago, maybe I would have typed up memos detailing the diabolical and grotesque facts about abusive priests and then dutifully placed them in a file drawer. It sounds odd because I wasn't a priest back then and I never worked in a chancery, and yet he somehow accuses me. It scares me. Maybe I would have written memos and not done much more. He whispers that to me in the night, but that's not all he whispers. He whispers repeated reminders to me of all the sins I've ever committed. They're not lies. They're facts. Even the sins I haven't committed, he reminds me that I could have. 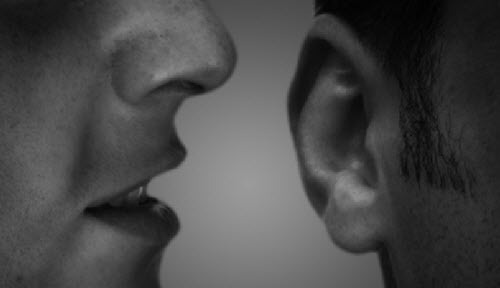 He whispers that I shouldn't preach about sin because I'm a sinner. He shames me and calls me a fraud. He whispers about how often I've been lukewarm. He whispers that I'm not holy enough to be a priest. He whispers things designed to undermine my confidence, but that's not all he whispers. He whispers about the priestly vocations I've encouraged. He tells me that I've led these guys into an ambush. That's not all he whispers. He whispers about how much more difficult it will be for the students at the Catholic Center to witness to their Faith. He whispers that the obstacles to evangelization are much more significant now. That's not all he whispers. He whispers about all the people whose faith was weak or whose faith was just starting to grow. He whispers how they are gone now. He whispers about the horrible things that were perpetrated upon children and how he used sacred persons to destroy others. He whispers a lot. I share this blogpost today because I know that I am not the only one the Devil whispers to and accuses. People have written to me and told me that they feel shaken and undermined. The Devil doesn't prowl about simply to take a bite here and there. He seeks to devour and to destroy. He tells half truths so that we will listen to him, and then he leads us into his snare. He points out all the evil as if that were the full story. He reminds us of our sins, but leaves out the part about us being forgiven through absolution. He reminds us of the grotesque failures of the Church, but leaves out the part about how the Church is necessary for salvation. He shows us how arduous the road ahead will be, but fails to show us how Christ will be walking beside us the whole way. He whispers to shake our confidence in Christ and in the Church. His whispers are unsettling, undermining, and seductive. Be sober and alert. When you hear these whispers, do not yield to them. Remember that these are the whispers of an enemy; an enemy who wants to devour you. Call upon the Blessed Mother and her Son, Jesus Christ. Call upon your guardian angel. Recite some words of Scripture, wherein we hear the voice of the Good Shepherd. Reject the whisperer and listen to the beautiful voice of the Good Shepherd. The Devil is not resting. He is prowling, seeking to destroy. Resist him, solid in your Faith. On the Solemnity of the Assumption, I offered a 12:10pm Mass at a parish where a friend of mine recently became pastor. Even though the headlines for the past couple of days were filled with the horrific and grotesque details of the Grand Jury Report of the Catholic dioceses of Pennsylvania, the Mass was crowded with devout Catholic men and women and their families. It was moving to witness their example of Faith. Right before Mass began, I was told that the chalice for the Mass was recently restored. The new pastor had been cleaning out the church basement and found a box with old liturgical vessels in it. 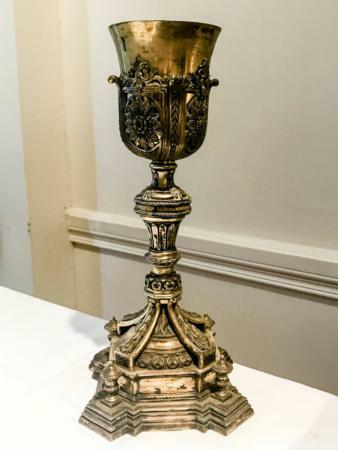 Among the vessels was a magnificent chalice that had been given to one of the parish priests by Pope Pius IX sometime in the 19th Century in honor of the parish being the first parish in the United States names in honor of Our Lady of the Assumption. After decades in a box in a church basement, the chalice looked worn and tattered, its original beauty marred and tarnished. There is something in us that recoils when we see something noble and beautiful disfigured and marred. 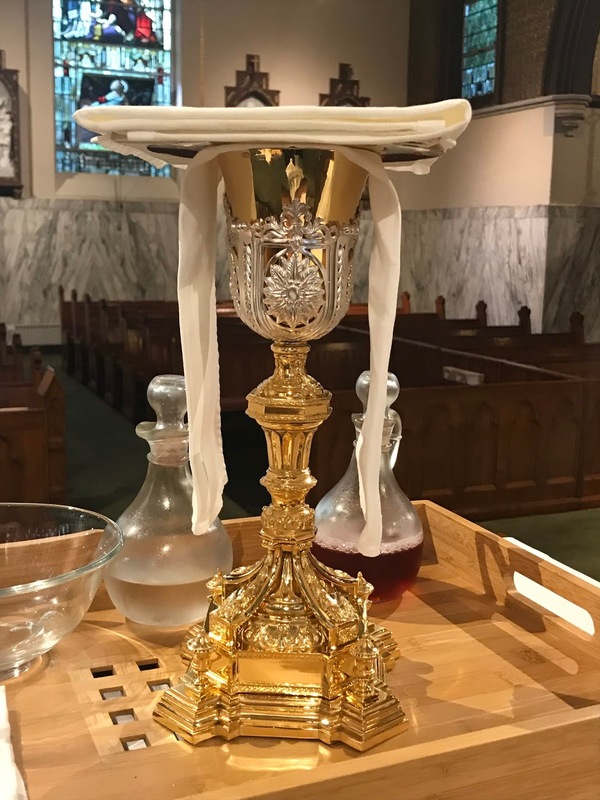 We know that that chalice was made in order to hold within it the Precious Blood of Jesus Christ. It leaves us saddened to see it relegated to a dingy basement. Imagine, however, if more than just neglecting that chalice, somebody had purposefully distorted it or broken it. Imagine further that this had been done not by someone who didn't know what the chalice was, but rather by someone who did know. This would cause us not only sorrow, but profound anger. That which was created to bring honor and glory to God and to be a vessel of God's Presence in the world should not be treated neglectfully, nor viciously. All of us who know and love the Church are sickened and angered this week because we see that the Church appears tarnished, marred, and disfigured. The Church--like that chalice--was made in order to carry the Presence of Christ to the world. The Church is the vessel that carries within itself all of the graces necessary for eternal life. The Church carries within herself the Word of God and the Sacraments. And so, it angers us and sickens us that she now appears so disfigured. We want people to know that the Church is not that tarnished vessel laying in a pile of filth. That is a disfigurement of the Church. The real Church is that beautiful vessel that lies beneath the corruption, neglect, and sins. Today, we celebrate the Solemnity of Our Lady of the Assumption. The Blessed Virgin Mary is not only the Mother of the Church, but she is also the Model of the Church. Among her titles is, "Mother Most Pure, Mother Most Chaste, Mother Inviolate." When we look at Mary, we see no disfigurement, no stain, no defilement. We see the human person as God intended. In Mary, the Image of God shines for all to see. When we look at Mary, the Model of the Church, we discover what the Church truly is. This causes us to feel revulsion when its beauty is disfigured by our sins and the sins of others. Mary is the Vessel chosen by God to carry His Son. Mary was saved by Christ, but in a unique way. She was saved by preservation. In other words, because she was to be the unique vessel of Christ, God preserved her from the disfigurement of sin. The rest of us are saved from the disfigurement after the fact. We are restored and perfected over time through the grace of the sacraments. The priest who discovered that chalice hired someone to restore it. We, however, are not restored by external forces. Instead, by grace, God restores us from the inside out. He pours into us His Divine Life and this is what restores and perfects His Image within us. By cooperating with His Grace, we become fitting vessels of this Divine Image. We become vessels that show forth the Glory of God. Mary was assumed body and soul into heaven on this day because she was never marred by the corruption of sin. Her assumption provides to all of us who are weighed down by our own corruption and the corruption of others, a taste of hope. She is the Model of the Church. She is the Model of Believers. What God did in the Blessed Virgin Mary in a unique way, He also wants to do for us. By His Grace, she was preserved from the disfigurement of sin and from the corruption of the grave. By His Grace, we too can be saved from our sins and--even after our body corrupts in the grave--share in Christ's bodily Resurrection. This week (and I fear for many days and months to come) we may find much that is filthy and disfigured. Whether that filth and corruption is discovered when examining our own consciences (which we all should do regularly) or whether it is discovered in news reports and church files, we should never become discouraged. Repulsed, angry, sorrowed? Yes, but never discouraged. The reason God sent His Son into the world was to restore what was lost. Jesus comes to restore the Image of God within us, to purify us, and to save us from corruption. At the moment, while we dwell within the filth, the Church invites us to look up; to look up and to see Mary, the Model of the Church. We see what the Church--in its deepest identity--truly is. Tarnished, marred, distorted, and disfigured by the sins, corruption, and failures of its members and leaders, the Church--beneath it all--is the vessel of Christ. No matter how many layers of rot there may be, we need not fear. Beneath it all, waiting to shine forth, is the unblemished Bride of Christ. For all of us who today find ourselves in the valley of tears--in the basement of filth--Our Lady of the Assumption affords us hope and consolation. Look up! Look up and see the Blessed Virgin Mary, Mother Most Pure, Mother Inviolate, Mother Most Chaste. Look up and see Mary, the Model of the Church! May Our Lady of the Assumption give us all hope and trust, that beneath the corruption and filth, is the true Church of Christ. May Mary's prayers and examples also encourage all of us to submit to the power of Christ's grace and to be purified so that the Divine Image might shine more brightly in each of us and that our lives--and the life of the Church--might bring God Glory and bring many souls to Christ. Lastly, as I was distributing Holy Communion during Mass, a man and his toddler daughter came up. The little girl was wearing a shirt that said, "Love Your Mother!" Today's Feast reminds us that we should love our Mother. Yes, we love the Blessed Virgin Mary, our Heavenly Mother. But she is also the Model of the Church who is also our Mother. Disfigured by the sin of her members and leaders, the Church is still our Mother. Let us love her by being holy and by submitting ourselves to the purification of grace that will restore what has been so badly obscured. Whether in conversations, social media posts, public statements, or essays, there are many words being exchanged about the Catholic Church these days. I also would like to share some words. These words deserve the serious attention of every Catholic. Every Catholic--bishop, priest, deacon, religious, seminarian, lay man, lay woman--would do well to spend significant time reflecting on these words and examining his or her own life. There is, I would say, something for all of us in these words. They are not my words. They were written by St. Paul and are found in the Fifth Chapter of his Letter to the Galatians. "For you were called to freedom, brothers and sisters; only do not use your freedom as an opportunity for self-indulgence, but through love become slaves to one another. For the whole law is summed up in a single commandment, “You shall love your neighbor as yourself.” If, however, you bite and devour one another, take care that you are not consumed by one another. Live by the Spirit, I say, and do not gratify the desires of the flesh. For what the flesh desires is opposed to the Spirit, and what the Spirit desires is opposed to the flesh; for these are opposed to each other, to prevent you from doing what you want. But if you are led by the Spirit, you are not subject to the law. Now the works of the flesh are obvious: fornication, impurity, licentiousness, idolatry, sorcery, enmities, strife, jealousy, anger, quarrels, dissensions, factions, envy, drunkenness, carousing, and things like these. I am warning you, as I warned you before: those who do such things will not inherit the kingdom of God. By contrast, the fruit of the Spirit is love, joy, peace, patience, kindness, generosity, faithfulness, gentleness, and self-control. There is no law against such things. And those who belong to Christ Jesus have crucified the flesh with its passions and desires. If we live by the Spirit, let us also be guided by the Spirit. Let us not become conceited, competing against one another, envying one another" (Galatians 5:13-26). When the weather is mild and pleasant, I prefer to pray on the porch of my rectory. Most mornings when I arrive, a retired priest who lives in our rectory is already there. We briefly exchange pleasantries and then he returns to his prayers and I begin mine. It is a ritual remarkably consoling and profoundly fraternal. We enter into the Church's Divine Liturgy, sanctifying time and place, offering to God on behalf of humanity the praise and worship that is His due. The Divine Office is prayed throughout the day, from morning until night. It marks the passing of the hours, of the days, of the seasons, of the years, and of the centuries. In the praying of the Hours, we enter into and live the memory of Salvation History. Hour by hour, day by day, season by season, we preserve and carry within us truths that save us. This evening as I was changing from Volume III to Volume IV of the Divine Office, I felt the significance of the passing of time. This is the thirtieth time in my life that I've begun Volume IV. As my fingers turn its pages, my mind turns the pages of memories. Life has been lived in so many places and with so many companions. Whether it was in chapels or courtyards, on boats or high in the Alps; whether with college students, brother priests, or alone, the hours are all lived near to the Lord. Even when alone, they were prayed with others, especially our companions. Even when physically far away, in the Divine Office, we meet one another in prayer. A passage, a saint, a prayer brings to mind a loved one. Even those who have departed this life who were with us along some part of the way, we meet them in the Divine Office. The hours spent with them in this life are offered to the Lord in our prayers. 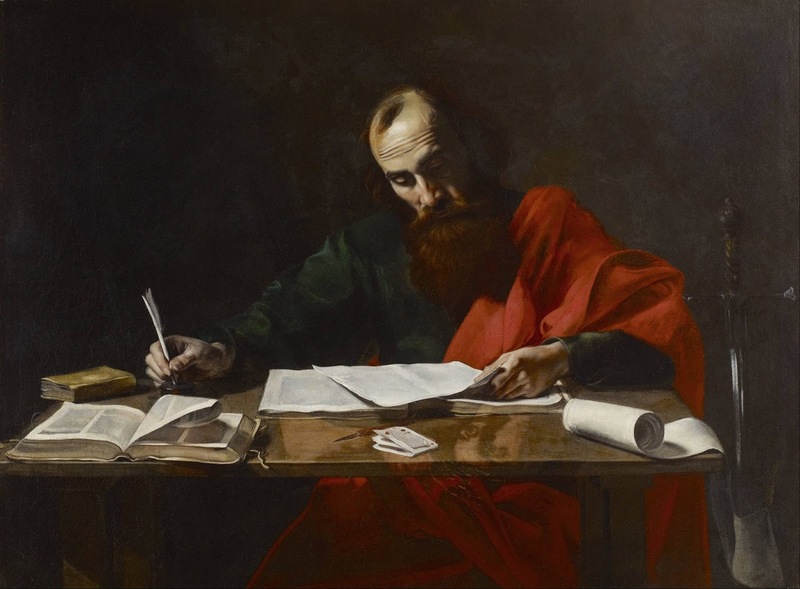 The language of the Divine Office shapes us and makes us more familiar with the ways of God. They anchor us and increasingly tether us to Him. The perpetual repetition of the cycle of prayers and psalms gradually frees us from being slaves to the ephemeral. As the years roll on, we become increasingly aware of our shallowness. Words we've prayed thousands of times before suddenly strike us as entirely new and stop us in our tracks. We discover within the pages of these volumes the patience of God. All of these years He has been teaching us to grow in gratitude, to advance in praise, to bow humbly under the weight of our guilt, to confidently seek mercy, to advance steadfastly along the path of hope. The words of the psalms and the canticles become the words of our heart. We desire to enter into His rest, to listen to His Voice, to not grow stubborn, but to bow down and worship Him. We long for Him to create within us a pure heart and to have mercy on us. Our heart seeks to join all creation and to bless the Lord. We yearn to live entirely for Christ, that awake we might keep watch with Him and asleep rest in His peace. 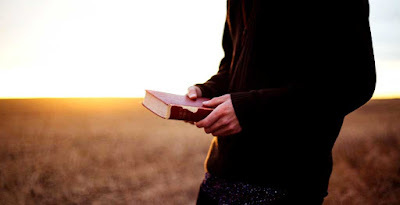 With the passing of time, we also recognize how many hours we have squandered; so many events, be they joyful or sorrowful, that could have been taken up in the Divine Office and offered to God in worship. The passage from one volume to the next can feel as though the record book has closed and what's done is done. And yet, a new volume opens and all that was wasted or squandered before may be added to our offering now. With each new hour, the Lord provides a new opportunity to present not just this moment, but all moments to Him. He is the Alpha and the Omega, all time belongs to Him, and all the ages. At the end of every day, we entrust ourselves and the whole world to the maternal love of the Blessed Virgin, our life, our sweetness, and our hope. Every moment of her existence has been an offering of praise and worship to God. Her presence beside us as we conclude each day encourages us to offer everything in our life to to the Father, through her Son. She stood by Him in His perfect offering on Calvary. Her standing near to us in the Divine Office gives us hope that our offering will be made acceptable. Her presence at our side fills our offering with a glorious sweetness. Our weak offerings--and even the offering of our sins and failures--become sweet by her presence. As we close our eyes each night, with each passing volume, and at the hour of our death, the presence of Our Lady assures us that a new day and new life always awaits us.